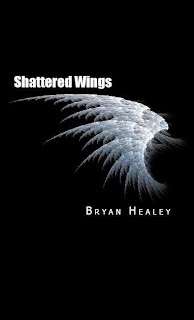 Joining us today for a guest post is Bryan Healey, author of Shattered Wings and A Line Blurred. In his post Bryan gives us some really useful advices and insights into the writing and publishing process! Bryan Healey went to Northeastern University for a BS in Computer Science and is now pursuing a BA in English at the University of Phoenix. 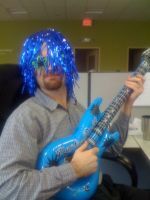 He currently works full-time as a web engineer and is living in Rhode Island with his wife. When considering the process of authorship, you must always remember to ensure that, first and foremost, you love your story completely. Writing a novel is always a monumental undertaking, and that love is the only thing that will keep you driven when the work becomes drudgery. 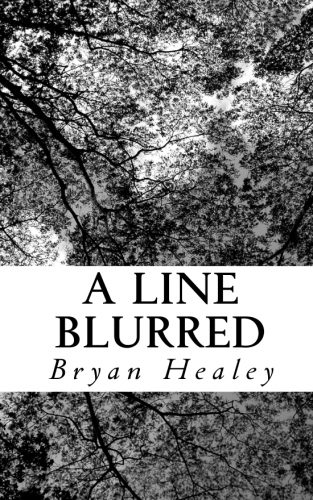 Now, publication-ready, you will embark on the very long, slow, painful process of promoting your work and trying to get someone, anyone, to read it (and hopefully enjoy it.) You'll spend a lot of money and time and energy working to secure reviews and sponsor popular web services. You'll build (or pay someone to build) a website for your book, and you'll market your brand on social networking services and forums aggressively and endlessly. You'll talk about your book tirelessly, do countless interviews, host book readings and signings, and give free copies of your work to anyone who is willing to read it and tell their friends about it. It is because of this tremendous, and all too often unsatisfying, effort that it is important to only write of subjects that you personally enjoy. The act of creating the work should be the highest joy you expect from the entire process. If the book at completion manages to wiggle it's way onto a best-seller list, then that is wonderful and that moment should be cherished. But you should never write about a topic you don't find particularly engaging in a quest to achieve such an outcome. While everyone may have a different process, my method almost always begins with a high-level theme. I consider a general concept that I think would be interesting to explore and I write down a mission statement for the project. 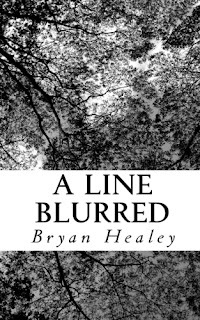 For example, "consequence of action and subsequent justification and self-delusion" was the general idea behind my first book, "A Line Blurred." My second book, "Shattered Wings," began as merely a desire to talk about the psychological effects of job loss and the crippling nature of addiction. Once I have a theme in mind, I will spend some time considering possible plot directions for the concept. Often, this comes in tandem with the theme (and plot ideation may even give rise to a change to the overall theme, or the discovery of a new concept for a future work.) When I feel I have enough to get started, I will spend one evening and quickly jot down the first 2,000-5,000 words of a possible story. I won't edit myself and the initial writing is always extremely rough (sometimes never even making it to the final product), and the purpose is merely to act as an archive of mental deliberation. Once this initial treatment is finished, I put the words away in a file on my computer and work on something else. If all is happening according to schedule, that "something else" should be marketing efforts for the previous book. I allow myself at least a week (and in some instances, over a year) while I let the idea stew and percolate in the back of my consciousness, forming opinions and characters and plot points and determining overall direction. Once I feel I can no longer hold back, I return to the original treatment and begin the process of constructing a genuine story. From here, my process tends to become far less formal. I rarely create outlines, and when I do I almost always break them. I just let my characters that I have mentally introduced, and likely developed unhealthy emotional attachments to, tell the story for me. You'd be amazed the direction a story will find itself going when you don't try and force it to where you originally intended it. During this phase of the process, I will rarely work on anything else. After a few months, I have a first draft done and the whole process starts over again. It is a wonderful quest and I happily do it over and over again because the creation of a story is the ultimate joy, at least for me. I love telling stories and I love creating characters. Where it not for the innate desire, the same desire that almost every writer has, to have someone read their work and experience it for themselves, I would probably continue to write even without publication. The story is always what must be most important if you want to be a "success." Both Bryan and I would love to see your comments! Bryan, thank you so much for taking the time out of your busy schedule to join us here today! I'm looking forward to reading and reviewing your novel! I had a good job and a good home and a beautiful little baby girl who loved me unconditionally. And I had Charlie, my sweet Charlie; he cared for me and supported me and wanted me to succeed, even when I so earnestly didn't deserve his affection. It should have been more than enough to keep me moving, to keep me right, to keep me sane, to push me forward. I don't know why I didn't let him be there for me when I needed him most, when he was able to help me, when there was something from me worth saving. I don't know why I failed them so completely. I don't know why I let myself become what I now am. Kevin is a depressed executive living a predictable life. When he unexpectedly deviates from his paralyzing routine to be with another woman, he finds himself risking everything for redemption. Kylie, his frustrated and defeated wife, finds solace in a flirtatious encounter with a younger man that sparks a dangerous relationship. Some really good advice! I think it's hard to not self edit yourself as you're writing. But once you stop doing that and let the story flow, you end up with something good. Is Nice to hear from the author and Shattered Wings sounds good. I'll put it on my Wish list and book to be read.